PRE-ORDER LISTING. ADD YOUR NAME TO THE WAITING LIST TO BE NOTIFIED WHEN AVAILABLE. 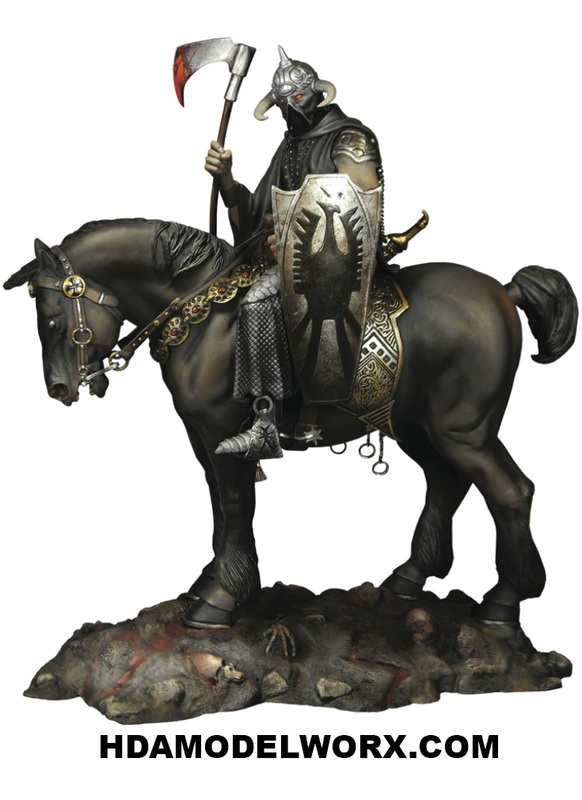 BASED ON THE CLASSIC PAINTING BY THE LEGENDARY FANTASY ARTIST FRANK FRAZETTA, MOEBIUS MODELS' STYRENE KIT OF THE DEATH DEALER IS A FAITHFUL RECREATION OF THE OMINOUS CHARACTER ON HIS MIGHTY STEED, FULLY RENDERED IN THREE DIMENSIONS. 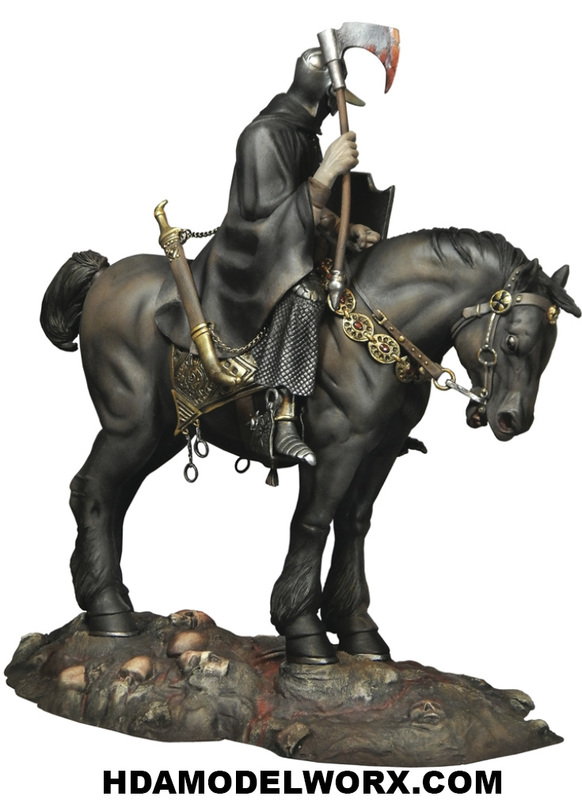 tHIS 1:10 SCALE, PRECISION-TOOLED STYRENE KIT IS APPROXIMATELY 10 INCHES TALL FULLY ASSEMBLED. tHE KIT INCLUDES A DETAILED DISPLAY BASE, REAL METAL CHAINS AND COMPLETE ASSEMBLY INSTRUCTIONS. cEMENT AND PAINT ARE REQUIRED FOR ASSEMBLY -- SOLD SEPARATELY. 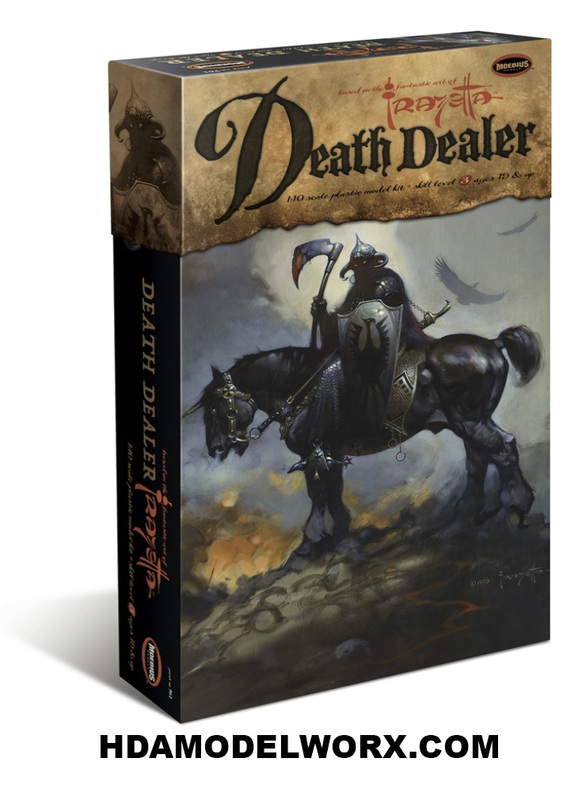 From the master of fantasy art, the Death Dealer. 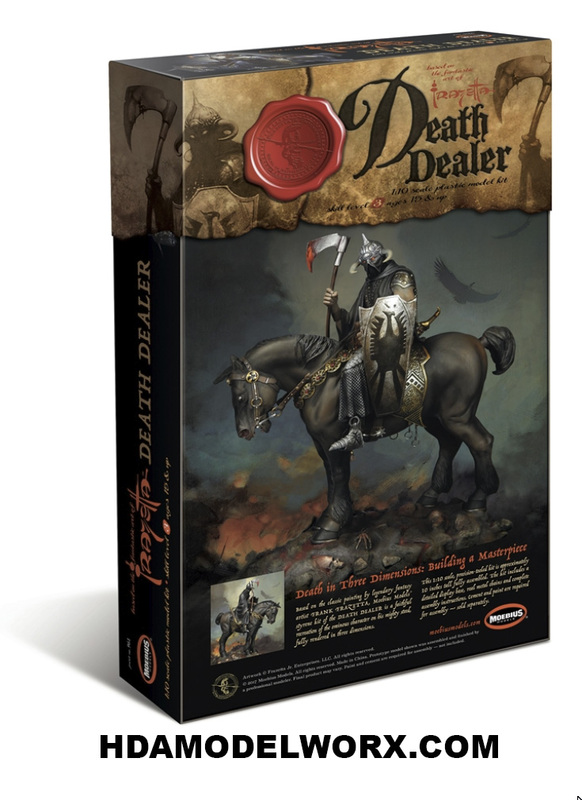 Universally known, Death Dealer has been seen on everything from album covers to II Corps mascot to comics, games and a host of products. Now you can build it yourself!